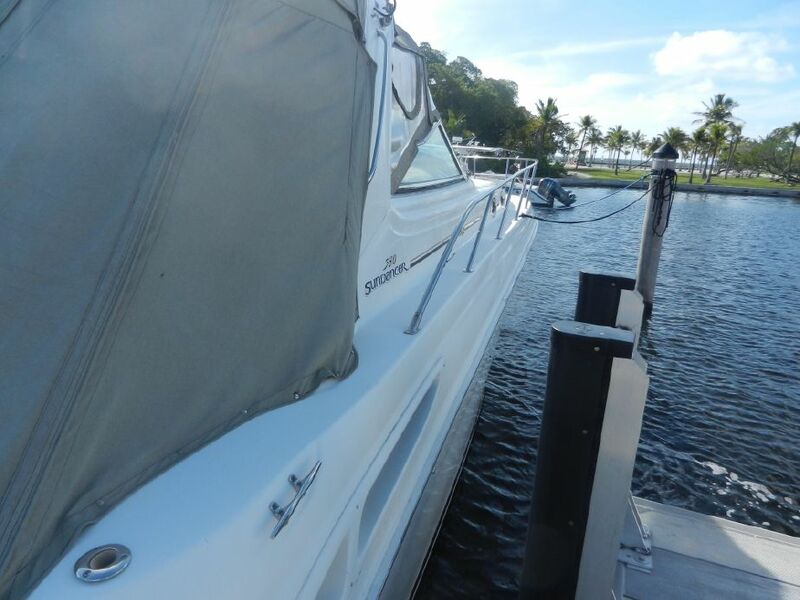 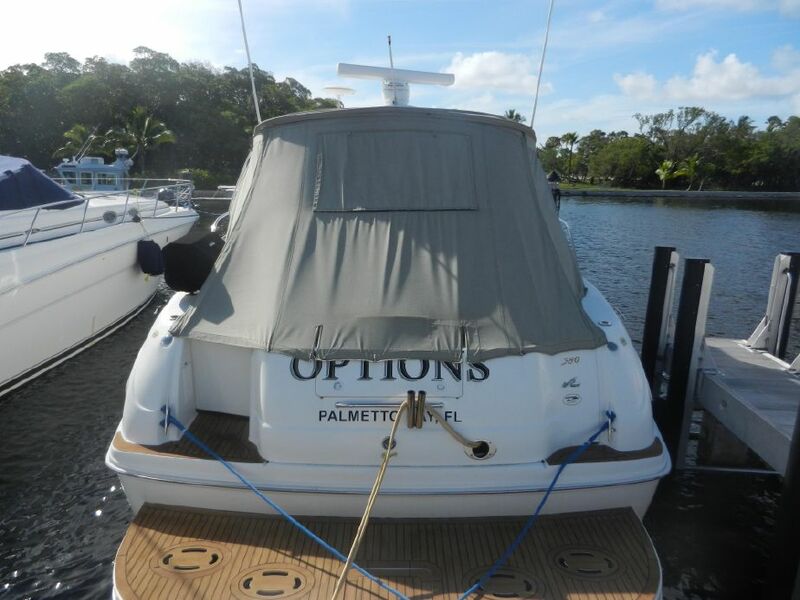 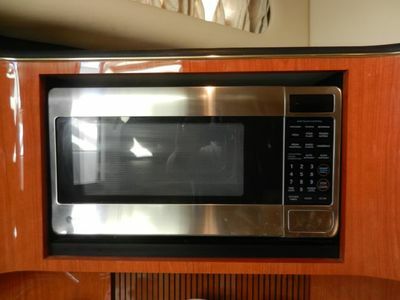 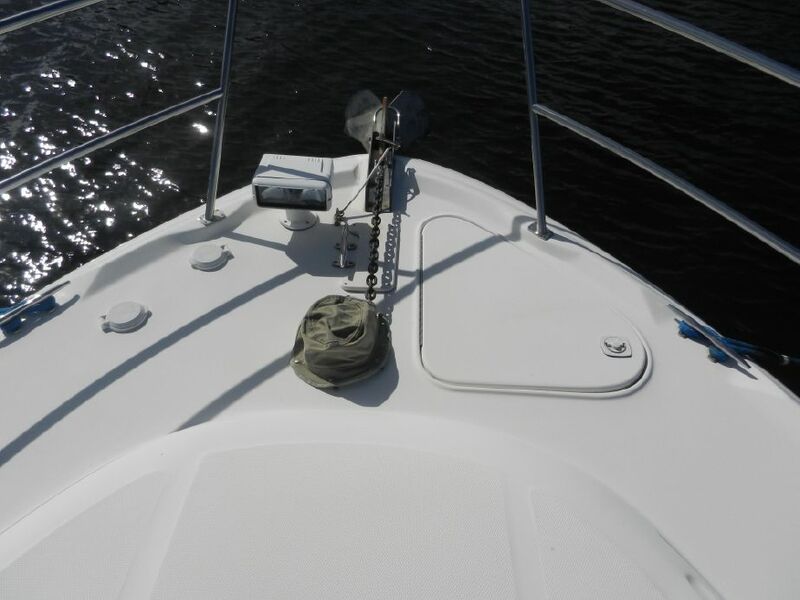 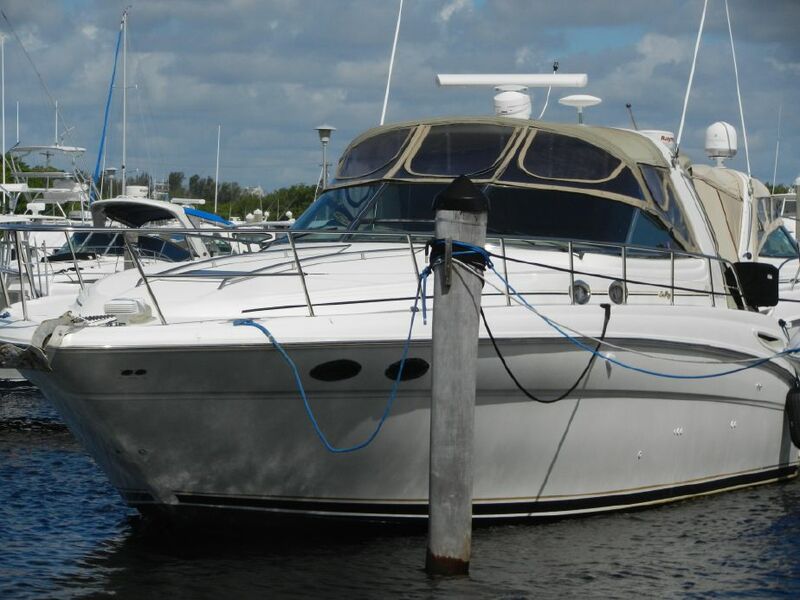 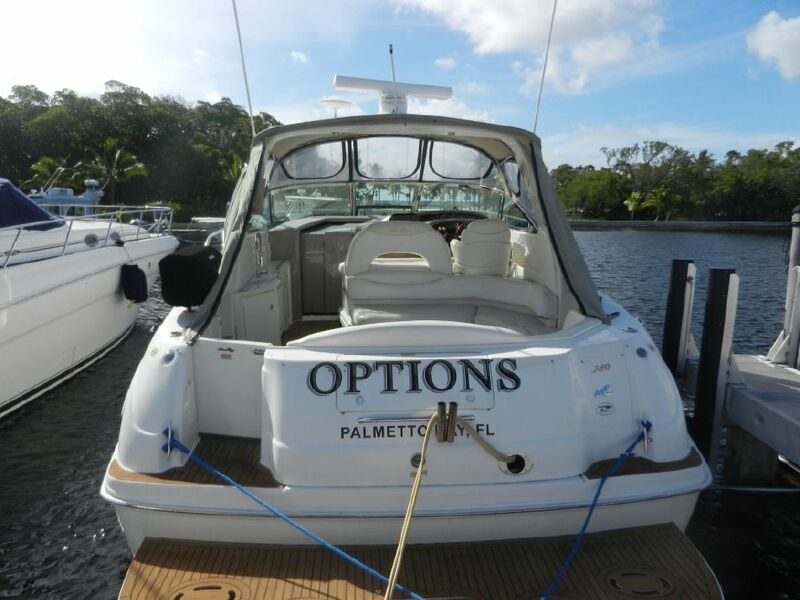 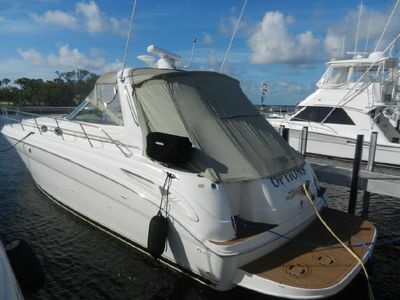 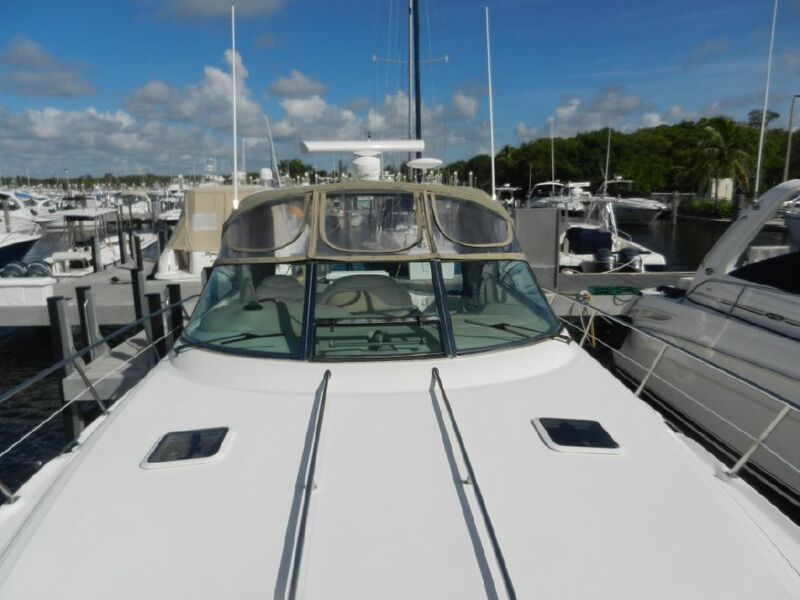 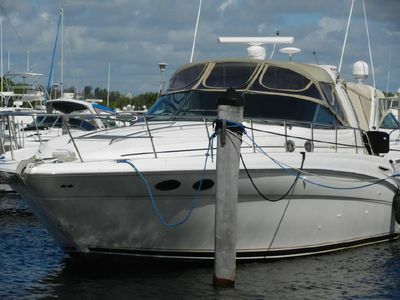 THIS SUNDANCER IS IN EXCELLENT CONDITION. Boat is ready to survey! 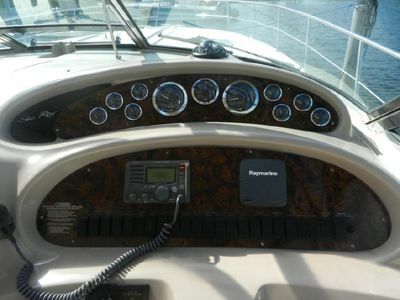 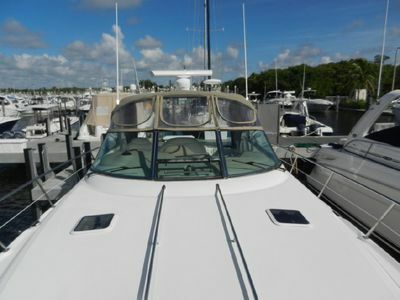 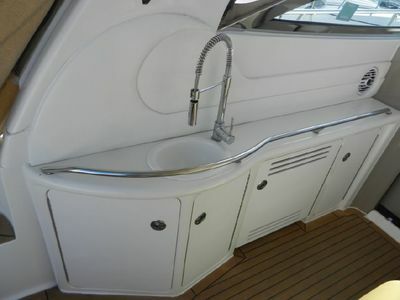 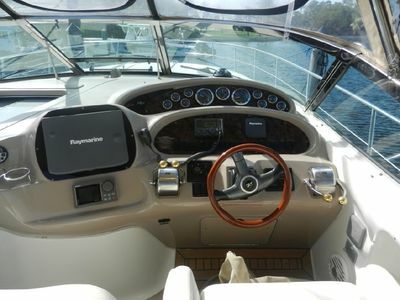 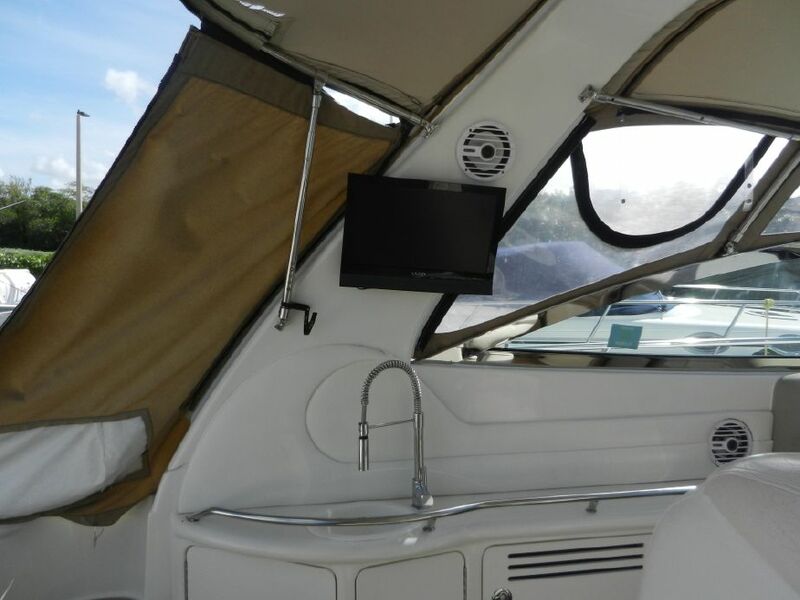 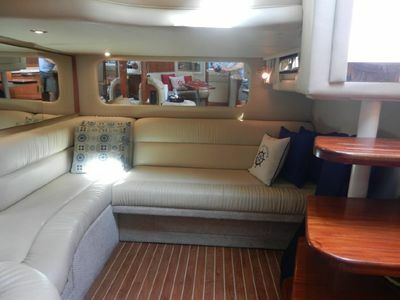 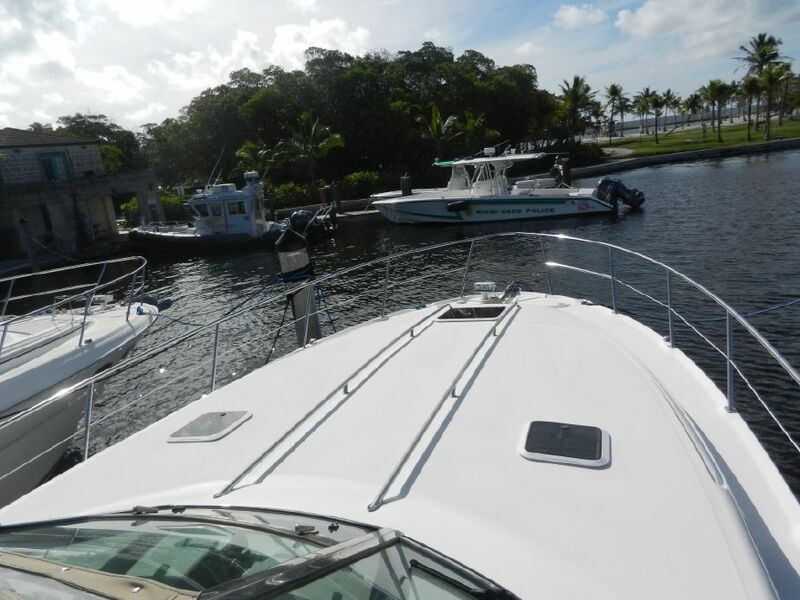 The 38' Sea Ray Sundancer has a massive cockpit featuring U-shaped lounge seating and a superior helm layout. 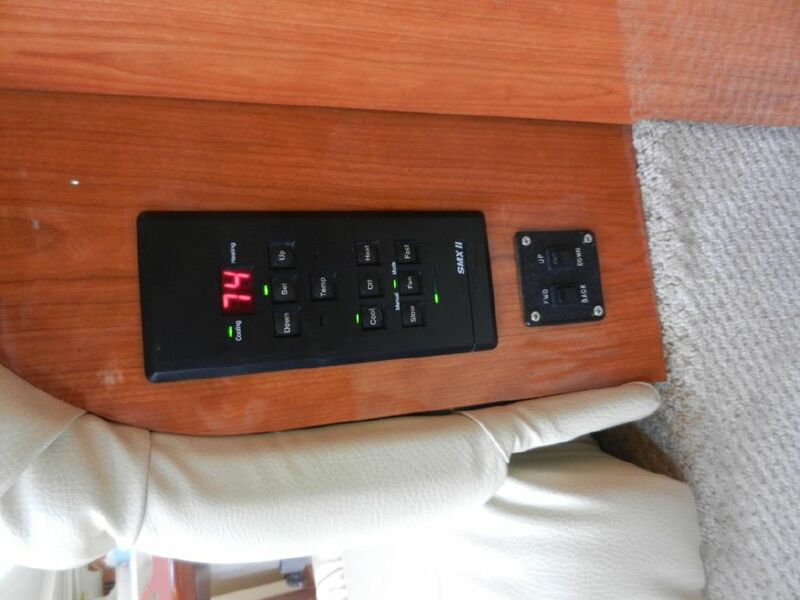 The cockpit floor lifts for engine room access. 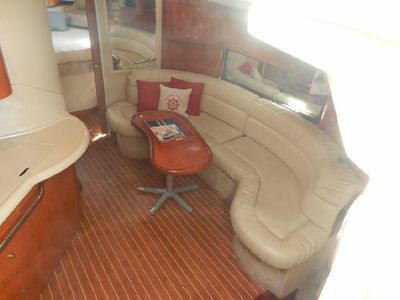 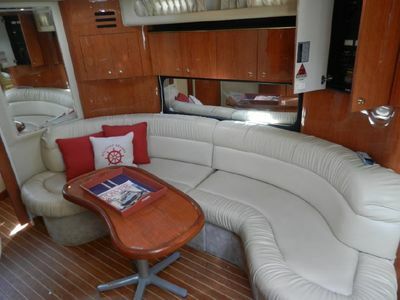 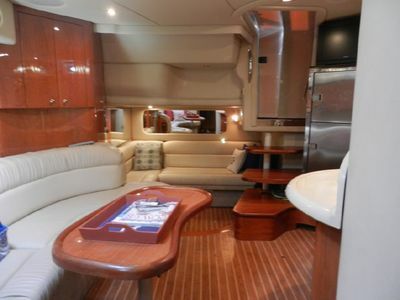 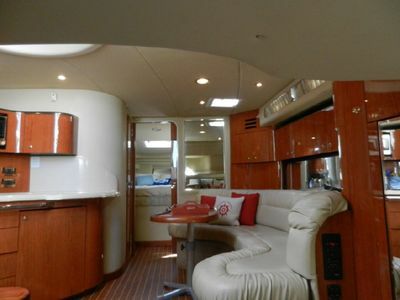 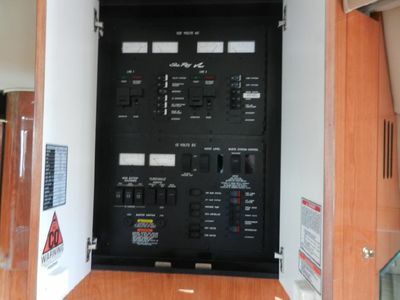 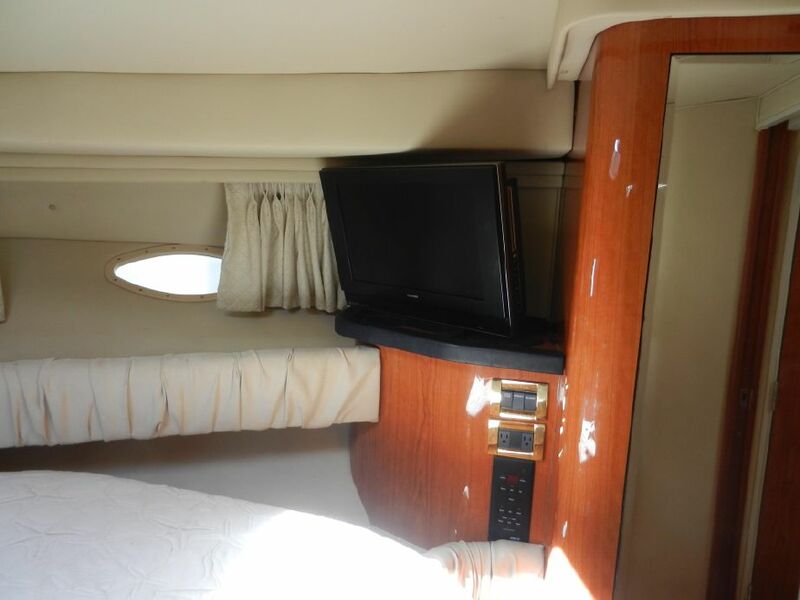 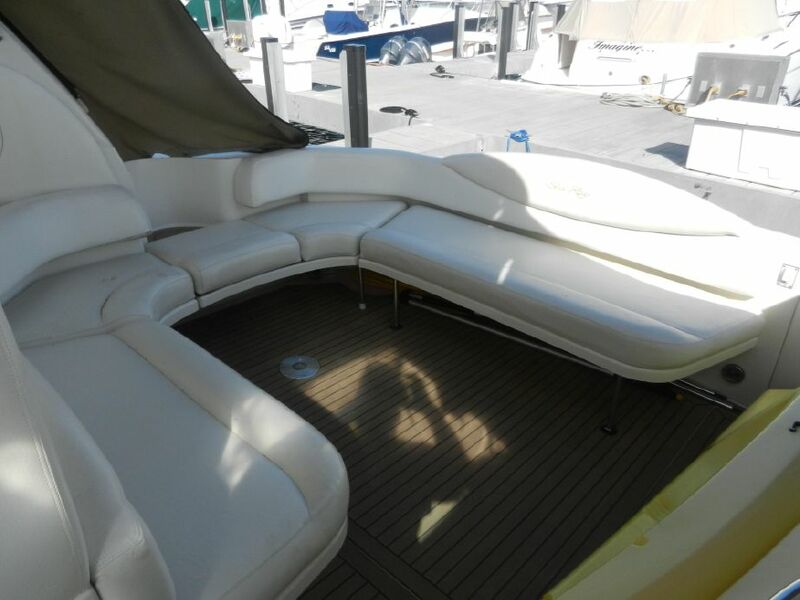 Going below from the port side, you enter the salon area with a sofa/dinette area to port and a galley to starboard. 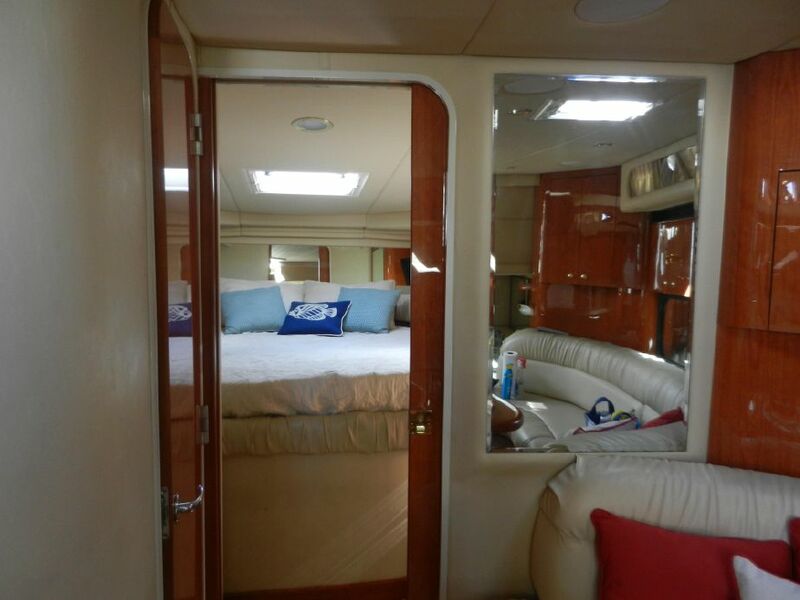 Forward of the salon area is the master stateroom, featureing a center line queen berth. 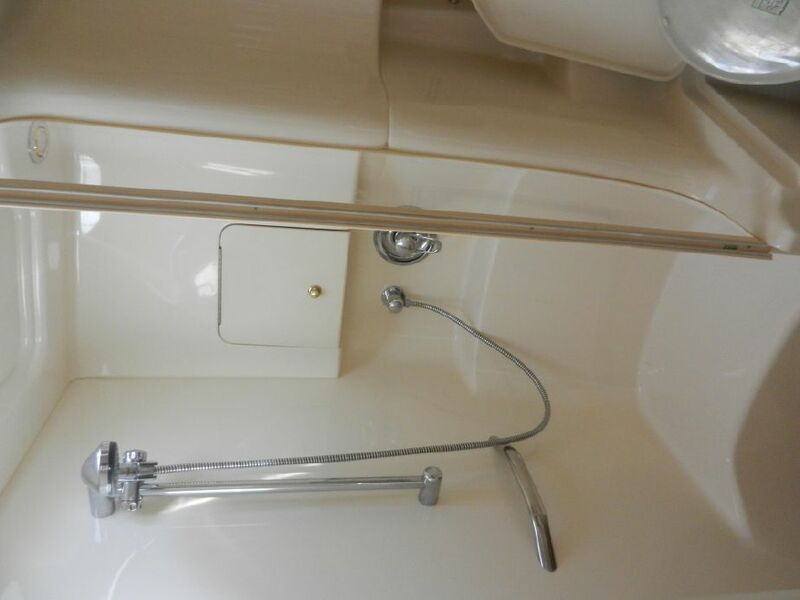 There is an ensuite head with shower and more than adequate locker and drawer storage. Aft is the guest stateroom with a double berth and guest head with shower. 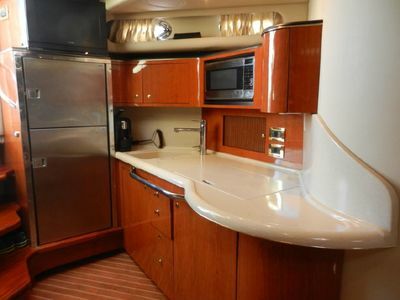 Please contact John Ramos for addition information or to schedule a showing.